Following on from her free download track 'Talk', Best Girl Athlete, aka 15 year old Katie Buchan, reveals yet another free offering with the release of 'He's Calling Me Over', taken from her debut album Carve Every Word, available on 2nd March 2015 via Fitlike Records. 'He's Calling Me Over' is further proof of Best Girl Athlete's unique talents. Producing another highly accomplished song, Katie's warm vocals take centre stage here, as strings dance elegantly in the background, creating a beautiful dream-like track. 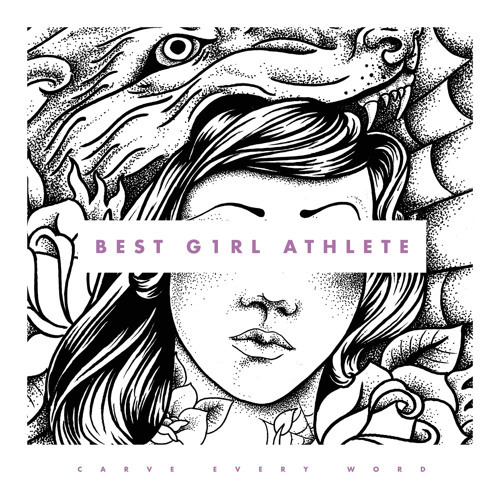 With talent in abundance it's easy to see why Best Girl Athlete has already picked up support from the likes of BBC Radio Scotland, Artrocker Magazine, Women In Music and Insomnia Radio. Like any other teenager Katie has the usual dreams, but possesses a talent far beyond her tender years. The songbird, who resides in Aberdeen Scotland, exhibits an effortless yet enchanting voice aligned to a burgeoning talent for song writing which elevates her natural potential to even greater heights. Not content to simply sing her musician father Charley Buchan’s songs, Katie has begun to establish herself as a mature singer-songwriter in her own right. Katie possesses a voice which sounds wise beyond its years as her earthy, ethereal tone flows beautifully from the speakers warmly enveloping the listener. Her vocals are accomplished to the point that they could easily sit alongside seasoned singer songwriters such as Aimee Mann, Laura Marling and Feist, as she constructs emotional vignettes with a laid back and elegant Americana edge. Where most artists use their debut album to fine tune their sound, Katie has produced something special on her first attempt - an art that can take many of her contemporaries years to hone. The tender vocals and whimsical music is no more apparent on album tracks such as ‘Leave It All Behind’ and ‘All That’ where Best Girl Athlete produces some of her most exquisite work as the chorus is left floating around your head for days. While the aforementioned ‘Talk’ is so well written it could easily be mistaken for an Ellie Goulding single - Katie’s vocals radiate and her lyrics impress, as soothing strings and piano elevate the music to new levels. Carve Every Word is an emotionally charged and accomplished debut that finds Best Girl Athlete imposing herself as a serious talent. Released in the United States under the Minty Fresh label and with a forthcoming American tour in support, the album will have its UK release via Fitlike Records on 2nd March 2015.